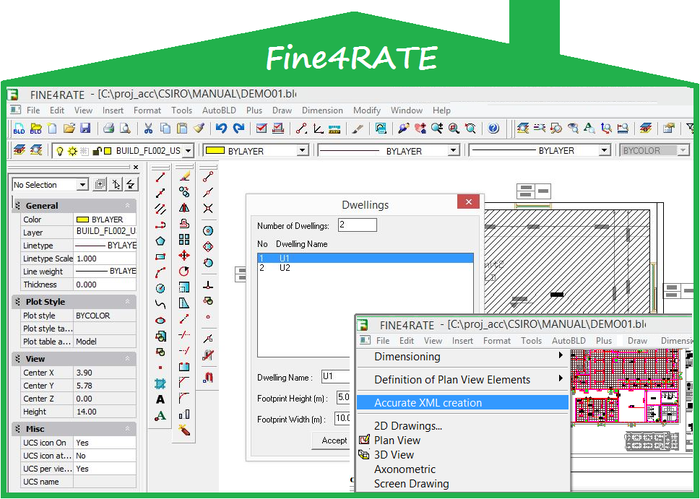 FINE 4Rate provides advanced modelling capabilities in an easy to use BIM interface, combining the AutoCAD functionality with the DWG & IFC full compatibility. FINE 4Rate provides advanced modelling capabilities in an easy to use BIM interface, combining the AutoCAD functionality with the DWG & IFC full compatibility. The program uses its 3D BIM interface to provide the NatHERS Energy Assessor the capability to automatically populate all building, zone and shading schemes data straight from the 3D model into the data entry fields of AccuRate Sustainability. The friendly BIM interface of FINE4Rate allows the assessor to spend time, a fraction of the otherwise required, to thermally engineer dwellings. This alleviates the need to spend endless hours on data entry. FINE4Rate is the only BIM Powered Software that provides the Energy Assessor with a true 2D-3D drawing environment that is using DWG as its native file format. The Assessor can import IFC files of the building 3D model produced by the building designer directly into the traditional AccuRate Sustainability fields. 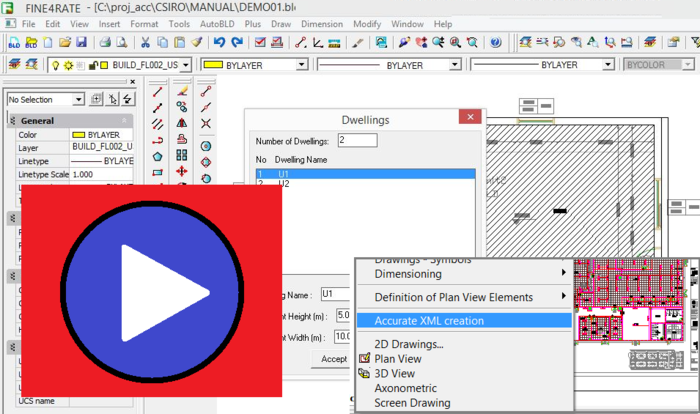 FINE4Rate includes also all the CAD features of 4MCAD, the recognised alternative to AutoCAD.